Floor is Quantib’s Quality & Regulatory Manager. She oversees that all software is developed according to the strict regulations on medical devices and that Quantib products meet all the requirements for commercial distribution in various countries. 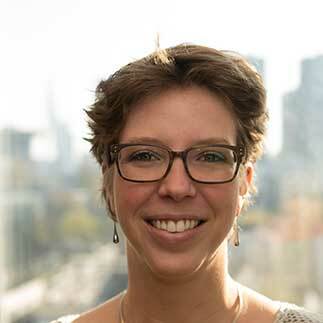 With a background in Biomedical Engineering (University of Twente) and Biomedical Optics (Erasmus University Rotterdam) she is the perfect candidate to understand the work of the R&D team and enjoys joining in on their technical discussions. Also, with Quantib’s rapid expansion and the constantly changing regulations on medical devices, Floor’s days are as interesting as they are busy. In her free time Floor loves to cook and to make sure the results of her hours spent in the kitchen don't go to waste. To combine good food with good sports Floor is also a dedicated Roller Derbier.